You are a machine. You are the descendant of ancestors that were the most efficient at surviving in their environment. Ever since the dawn of predation, surviving requires the ability to move around to escape predators or chase after prey. In order to move around, our ancestors developed a specialized type of cell with many sections called sarcomeres. The image to the right shows the structure of a sarcomere with pairs of proteins that pull on each other when the cells receive a signal from communication cells. Those specialized types of cells are called muscles. Try it out with your own body: move something and focus on which muscle is contracting. Move back to normal and see which muscle contracts while the first one relaxes. You can see the differences between different types of muscle and compare their relative strengths when you are eating meat. Another name for muscle is meat and you can compare the flaky texture of fish with the slightly stringy texture of chicken, a descendant of dinosaurs, and compare both of those to the very stringy texture of beef, a mammal. The more force a muscle needs to exert for the living organism, the “darker” the meat. It’s scientific and delicious! Let’s now go into a bit more detail about our muscles in particular. 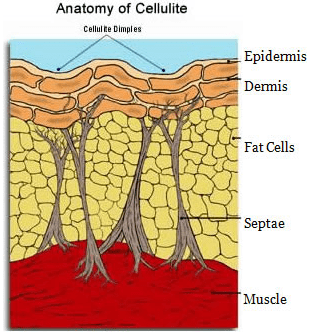 If you look at one of your muscles, well without the skin, you see the strands that make it up. When we look a little closer at these strands, we can see even smaller strands that make those up. When you contract your muscles, especially against a large force, some of those tiny strands, called myofibrils, are bound to break. That’s okay because your muscles have hundreds of muscle fibers, each with hundreds of myofibrils. In our sedentary society, we develop connections to the wrong muscles for our movements and we get stuck that way. Slouching shoulders, forward neck, and a weak lower core are now common. When you take the time to discover your muscles, you can learn to massage them along the direction of the strings. You’ll discover parts of yourself that you never realized you had. You can change your body, it just requires the focus and effort to do it.